In a world where designers are harnessing the power of technology and innovation, art is evolving into a medium that not only impacts us visually but can arouse our every sense. Immersive and emotive, an art installation in a room can transform the way we think, work and feel as the spaces around us take on new meaning. Since the beginning of time art has made us feel, cry, laugh and think. As the influence of digitalisation grows, art reaches a wider audience and creates impact from every angle. 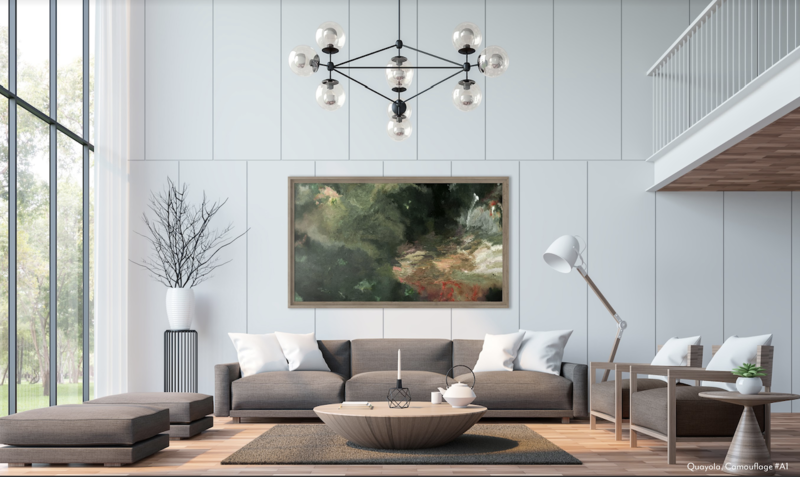 The realms of interior design and architecture are seeing the impact of these exciting developments in art. Market trends show that consumers favour experiences over possessions and artists respond by becoming dynamic and flexible, creating connected spaces through interactivity. Placing digital art into buildings and public spaces offers artists, architects and designers a step up into this brave new era where art – as immersive, tangible and transformational as ever – can touch us in so many different ways. As technology continues to disrupt every industry, digital art evolves and with the right tools it becomes an experience that is altogether new and exciting. Emotional and palpable, art in its digital form can stir a room and its occupants to life in ways that could only have been imagined a decade ago. As these trends transform the creative world, designers and architects become artists themselves with a newfound responsibility for creating relevant spaces for discerning clients who are fully engaged in the digital world. From hotels to hospitals, from offices to co-working spaces and from event venues to private homes, digital art installations are blending aesthetics with inspirational experiences. Architects and interior designers have harnessed digital innovation to revolutionise their business models. Technology marches on at a mind-boggling pace and buzzwords such as empowerment, personalisation, visualisation and inspiration permeate design projects. Pioneering professionals are catering to clients demanding unique experiences. Muriel Muirden, executive vice president and managing director of strategy at London-based architects WATG says, experiences can be extremely close to home”. She says that lighting, soft furnishings and even scent can create a multi-sensory experience in a home. This is where “architecture becomes atmosphere”, says Muirden. Tactile materials, Instagram moments and anything with a wow factor are the new unique selling points of trend-setting, headline-grabbing spaces, including on-trend workplaces, increasingly surrounding employees with immersive experiences that tell stories and inspire. Verizon’s NYC HQ boasts a fun and dynamic interactive touchscreen display where employees and visitors can learn about the company as content disperses into colourful particles. As digital art installations gain momentum, Niio is stepping in to facilitate seamless access to video and interactive media art created by leading international artists. By transforming luxury hotel chains, co-working spaces and property developments into unique and engaging experiences, they are breaking new ground whilst keeping pace with worldwide trends. Offering both content and technology, Niio is trusted by artists, galleries, curators and collectors from a range of industries as well as leading AV companies including Samsung and Phillips, as the go-to platform for art in a digital age.